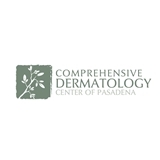 Comprehensive Dermatology Center of Pasadena (Pasadena) - Book Appointment Online! The Comprehensive Dermatology Center of Pasadena was founded with the goal of helping people achieve a vibrant appearance and feel confident about their skin. Dr. Gaspard was unfortunately out of the office for my appointment; however, Dr. Han Lee was just as wonderful. She made the Botox injection extremely painless and was honest when I asked her opinion about masseter reduction surgery.